1. Ilija Biškić (Mladost Zagreb), 2. Krešimir Čorić (Nada Split), 3. Luka Perlain (Nada), 4. Dražan Budimir (Sinj), 5. Joshua Brajkovic (College Rifles, NZ), 6. Shay Owen (Chester RUFC, GB), 7. Mario Ozich (Waitemata, NZ), 8. Dylan Rowe (Zagreb), 9. Lucijano Luka Rosso (Nada), 10. Jai Ayoub (Eastwood, AUS), 11. Marko Grčić (Sinj), 12. Nik Jurišić (C) (Mladost), 13. Vinko Rudić (Nada), 14. Marin Vlajčević (Nada), 15. Domagoj Plazibat (Nada), 16. Denis Brečić (Mladost), 17. Fran Hasija (Zagreb), 18. Bruno Đurović (Nada), 19. Marko Buljac (Mladost), 20. Ivo Perić (Nada), 21. Luka Kovačić (Makarska rivijera/Zagreb), 22. Tomislav Burazin (Nada), 23. Nikola Pavlović (Sinj). This will be the last cap for Croatian fly-half Jai Ayoub. 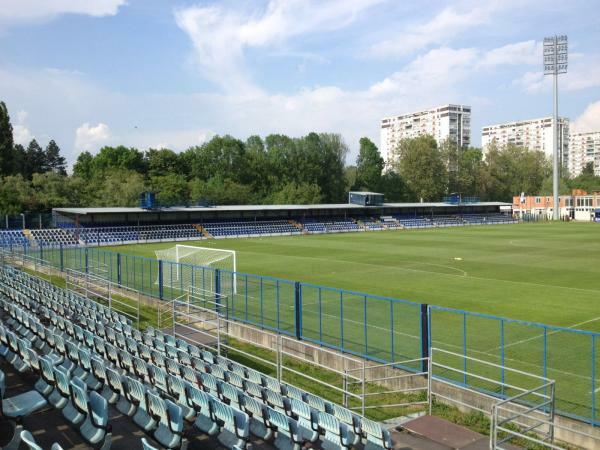 Venue: Stadion NŠC Stjepan Spajić, Zagreb. I know this is a weird question, but is Jai Ayoub possibly a relative of the Australian TMO George Ayoub? Could be. They are both from Sydney. But Ayoub is very often surname among Lebanese (Jai is half Lebanese, half Croatian). Well now we know this pool is still an open competition for at least one more round! Article from NZ ON Yelavich and connections with some NZ players of Croatian descent. Must admit I found the writing a bit confusing, and initially thought Yelavich had brought over an entire team of Auckland Croatians. Looks like there are 2 according to the team list above in the thread.